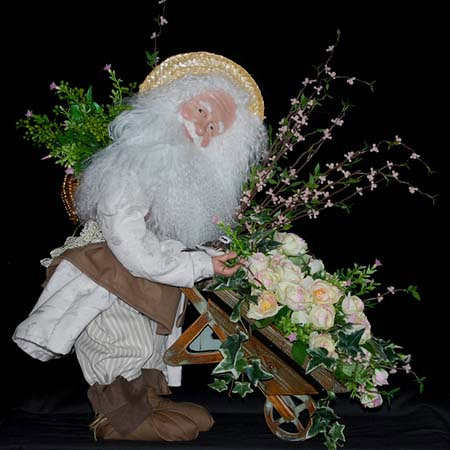 Sinterklaas stands 26 inches tall and is adorned by his reindeer friend. 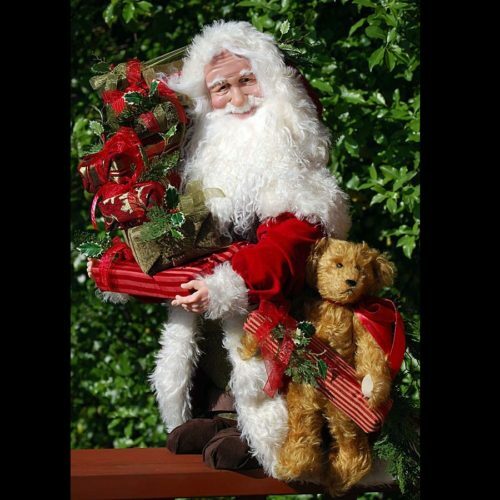 He is a beautiful traditional Christmas collectible. 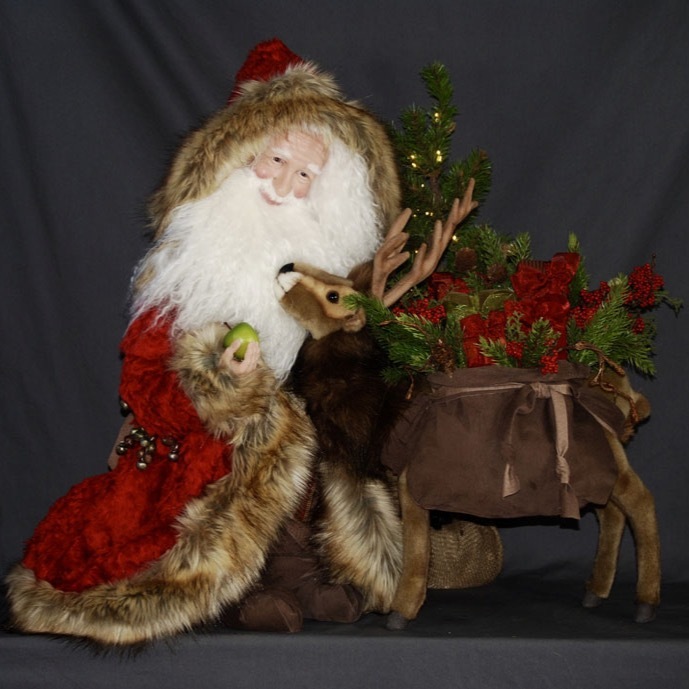 His reindeer is adorned with brown suede bags stuffed with fabric wrapped packages and wintery greenery. He also arrives with a beautiful pine tree that will light up to add the gentle glow of the holidays. 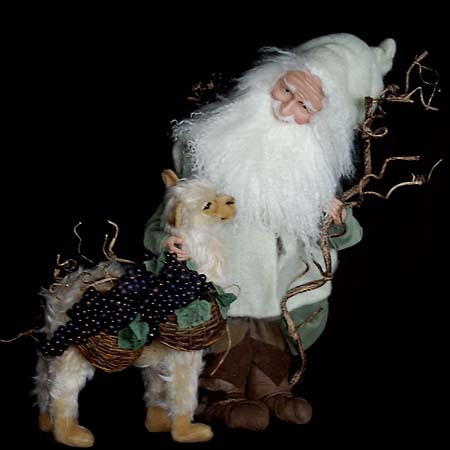 Sinterklaas wears a luxurious red mohair coat trimmed in natural brown faux fur. He has an old world Santa style. His boots and cummerbund are crafted from brown suede. He has a hand sculpted face, with blue eyes and beautiful hair and beard of Tibetan wool. He is able to stand on his own without any form of stand, because his body and feet are steel and wood. 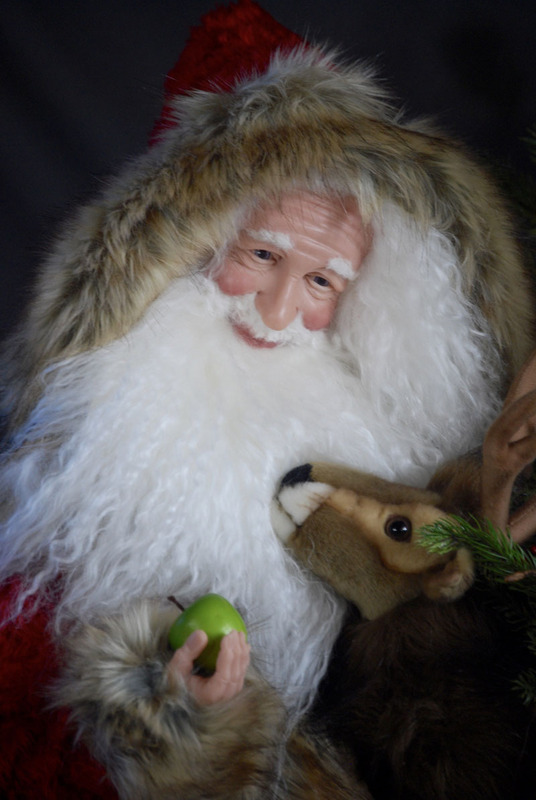 He couldn’t be more friendly offering a bright green apple to his reindeer friend. He is truly a cheerful addition to your collection.